EVENT-VISIT TO THE MAKRONISOS CONCENTRATION CAMP. The struggle of the communists-political prisoners inspires our struggle. A large number of people honoured the immeasurable sacrifices of communists and other militants that suffered in the concentration camp of the island of Makronisos by taking part in the event-visit, organized on 6/9 by the Attica Party Organization of the KKE and the Attica Region Organization of KNE. Makronisos "hosted" thousands of militants who experienced unspeakable tortures on its few hectares. Bourgeois power demonstrated its most revolting face on this dry and barren rock in the Aegean Sea as regards its treatment of the militants of the national resistance against the Nazis-i.e. the militants of the National Liberation Front (EAM), the fighters of the Greek People's Liberation Army (ELAS), defiant members and cadres of the KKE and other leading militants. There, it demonstrated all its inventiveness regarding the torture methods it used to break the morale of the communists. KKE GS Dimitris Koutsoumbas speaking at the event. "We are here today because we do not want to forget a dark period in the history of our country, which even if it includes extreme characteristics, which many today formally denounce or express sympathy for the victims, nevertheless reality demonstrates that bourgeois violence is also present today everywhere, a violence of course adjusted to today's conditions, different in form in each country and each phase, but always the same in terms of its class content. The KKE endured and endures because the working class exists and will exist, its party will exist and act, whose role is necessary for the working class to fulfill its historic mission, to realize its immediate and more general tasks. 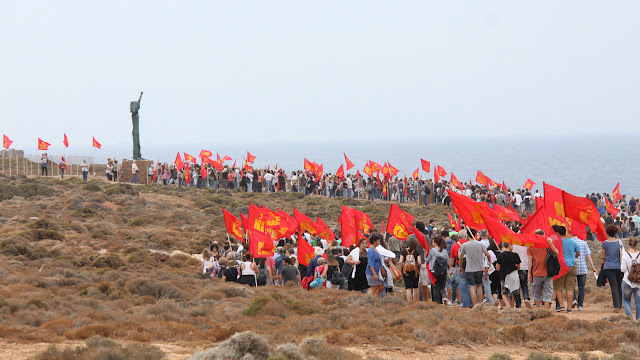 The KKE endures and will continue to act with the same unshakable conviction, because its world view is scientifically grounded in the laws of historical development themselves. The passage from capitalism to socialism-communism is based on the scientific laws of social development, it is inevitable. 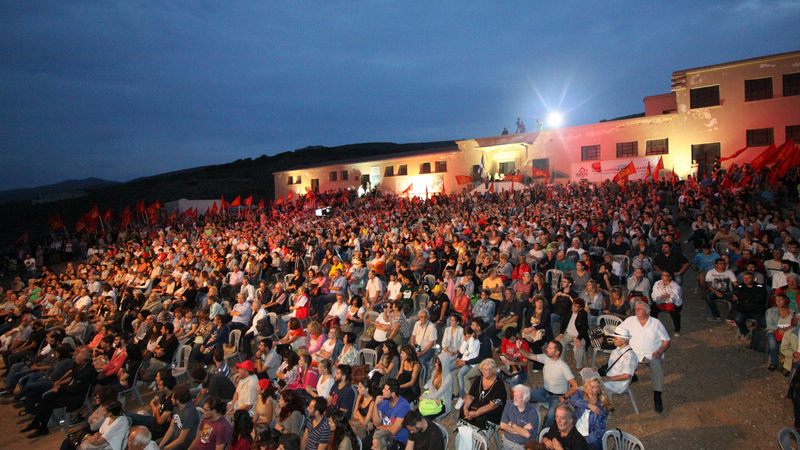 The KKE maintains its class character, its principles, Marxism-Leninism." Hundreds of people arrived in Makronisos from Athens and other parts of Greece. 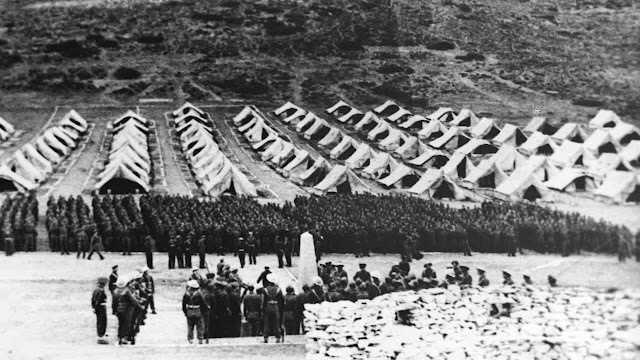 Makronisos, the Greek Dachau. Post Civil-War photo.